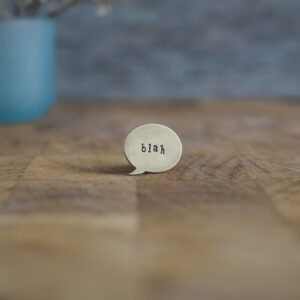 With these little speech bubble pins you can get your message across simply and succinctly. This speech bubble was born from my love of an old British sitcom called Father Ted. Set on the fictional Craggy Island, a remote location off Ireland’s west coast, three priests are exiled here for various past incidents. They live together in the parochial house with their housekeeper Mrs Doyle. Father Jack is one of the priests and lives for the simple pleasures of life – sleeping, drinking, and swearing. Feck happens to be one of the few words he utters in each episode. My partner is from Northern Ireland and when we first met, I used to take the mickey out of his accent and watching re-runs of Father Ted was essential to get to gist with his Irish humour. Each pin is individually stamped with the word ‘feck‘ and handcut from recycled brass industry offcuts and finished off with a sturdy brass pin and rubber pin back. Each pin is totally unique and you can choose whether you would like the speech bubble to be left or right facing.. 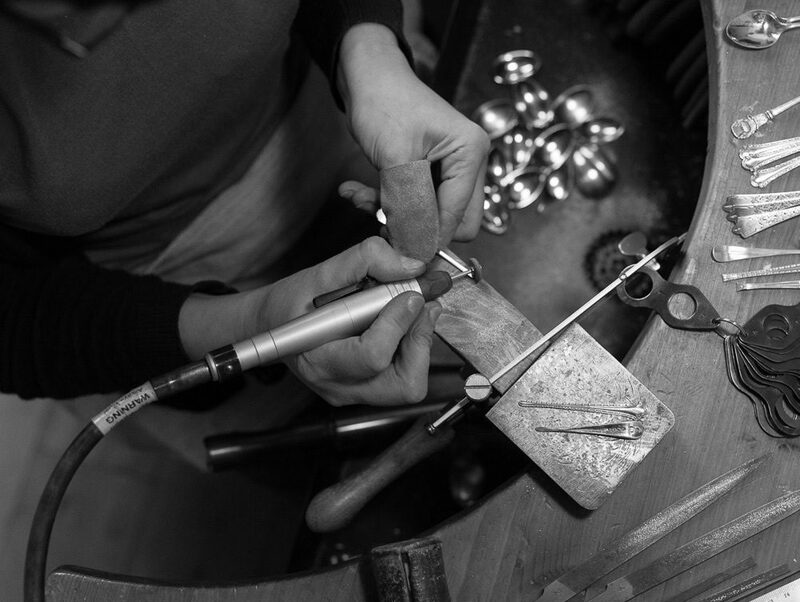 The recycled brass sheet is thick and weighty and the pins measure approximately 2.5cm wide by 2.2cm high. The brass has been given a brushed finish and a layer of wax to protect it. If you have a specific word you’d like me to use, get in touch via email and I’ll see what I can do. The size of a speech bubble area is 2.5cm wide by 2cm high and my letter stamps are 3mm tall, so bear these figures in mind when suggesting words, as the area is small and can only accommodate single short words of 4-5 letters long. Say it Like it is…what? Say it Like it is… eh?